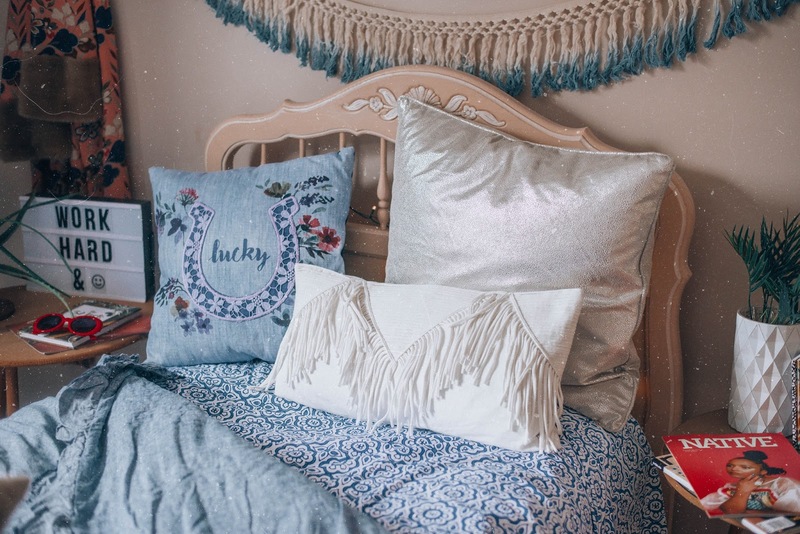 In all my years of blogging I've never showed you guys my room! 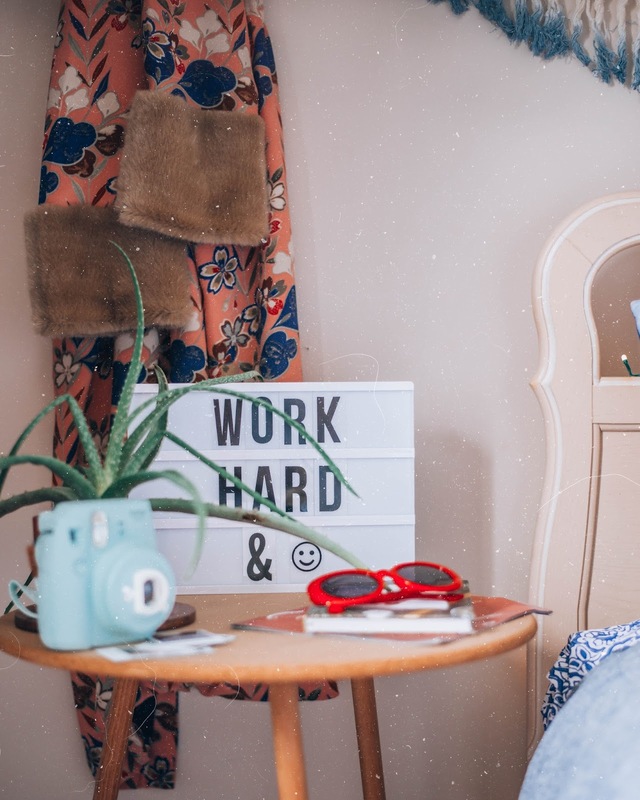 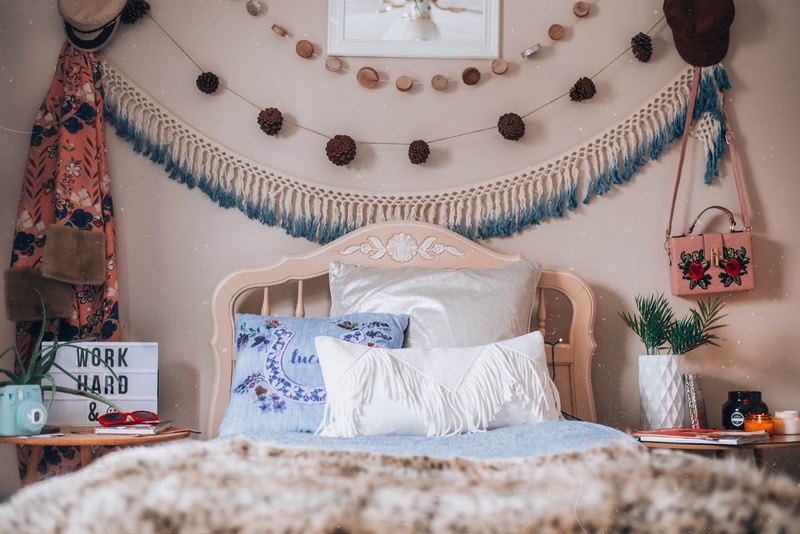 Today I teamed up with PBteen and did a little revamp of my bed area! 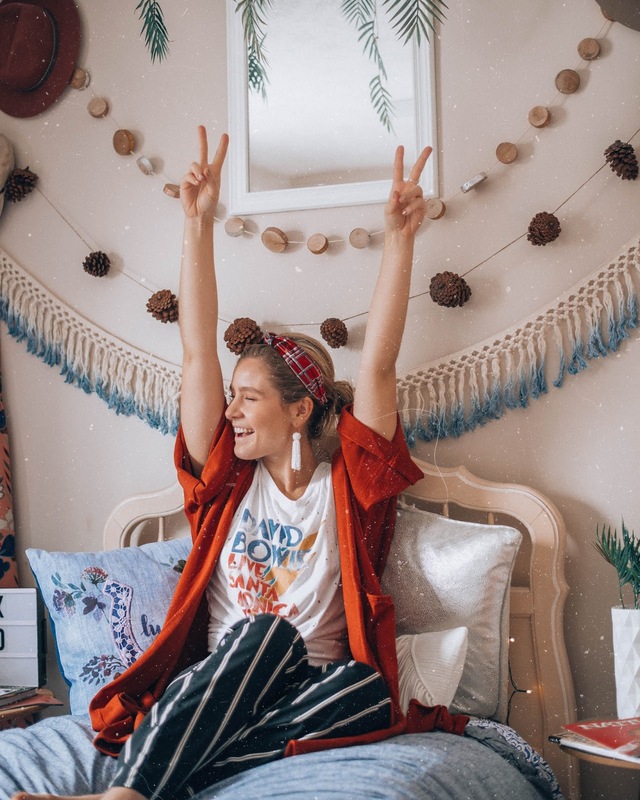 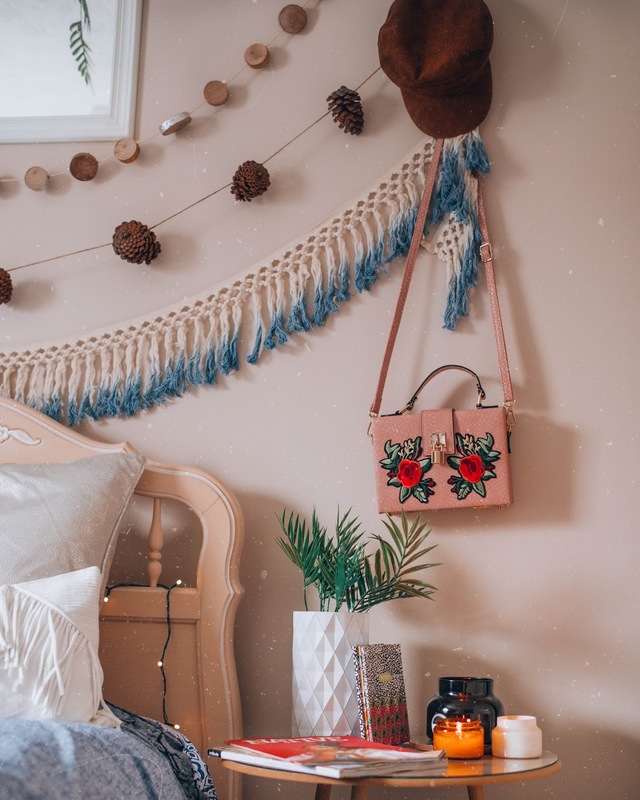 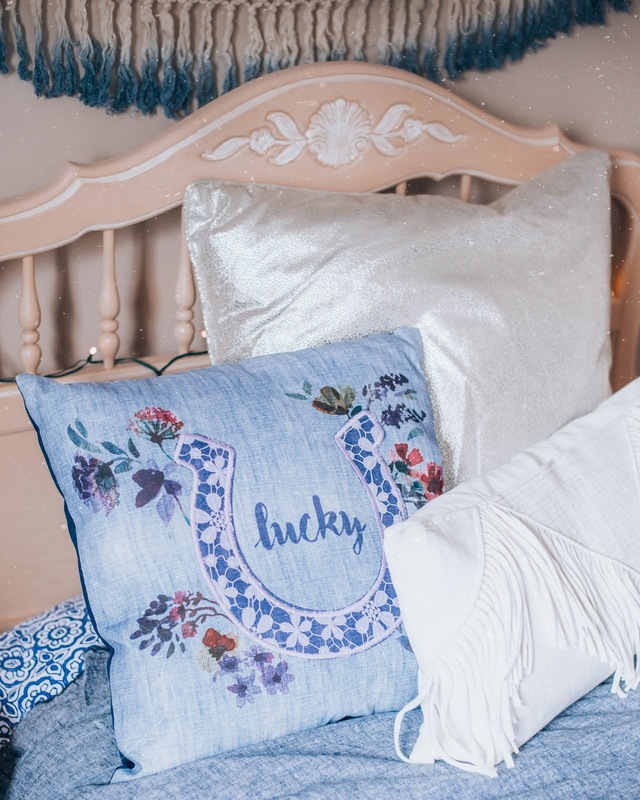 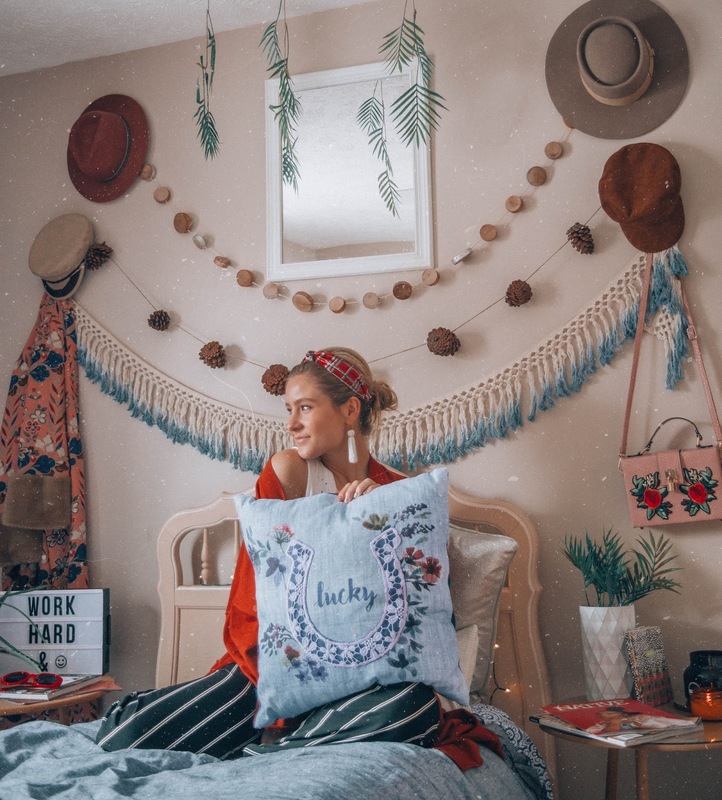 Thanks to PBteen for providing such fun bedding, pillows, and a cute boho tassel garland! 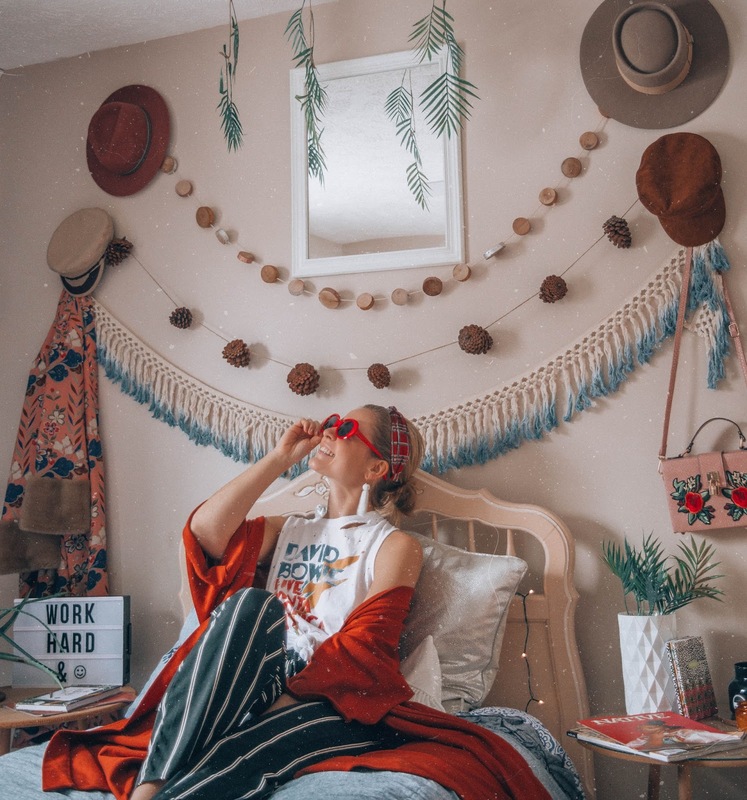 My room is not the biggest of rooms however, I really love decking out the space that I do have. 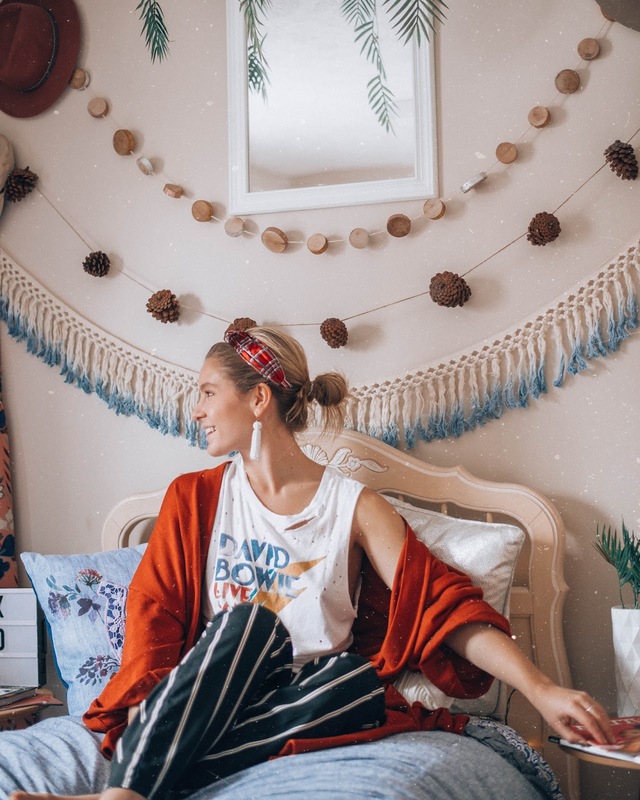 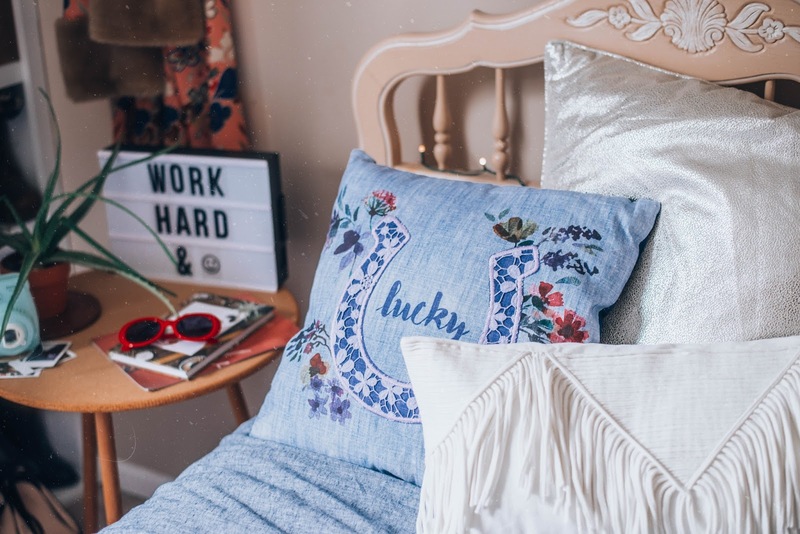 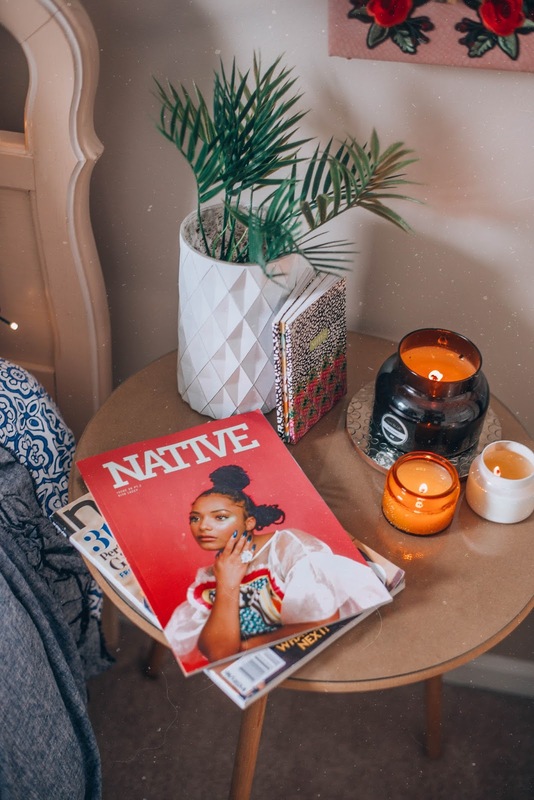 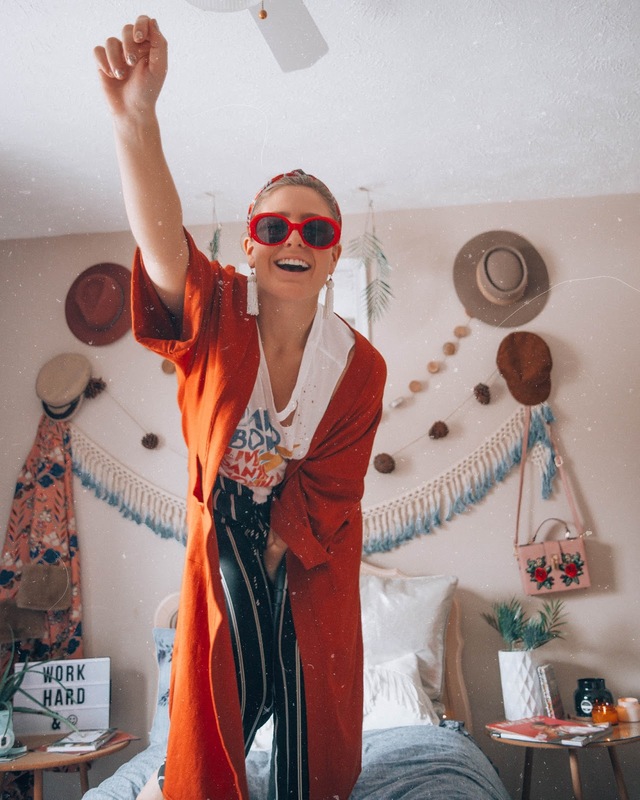 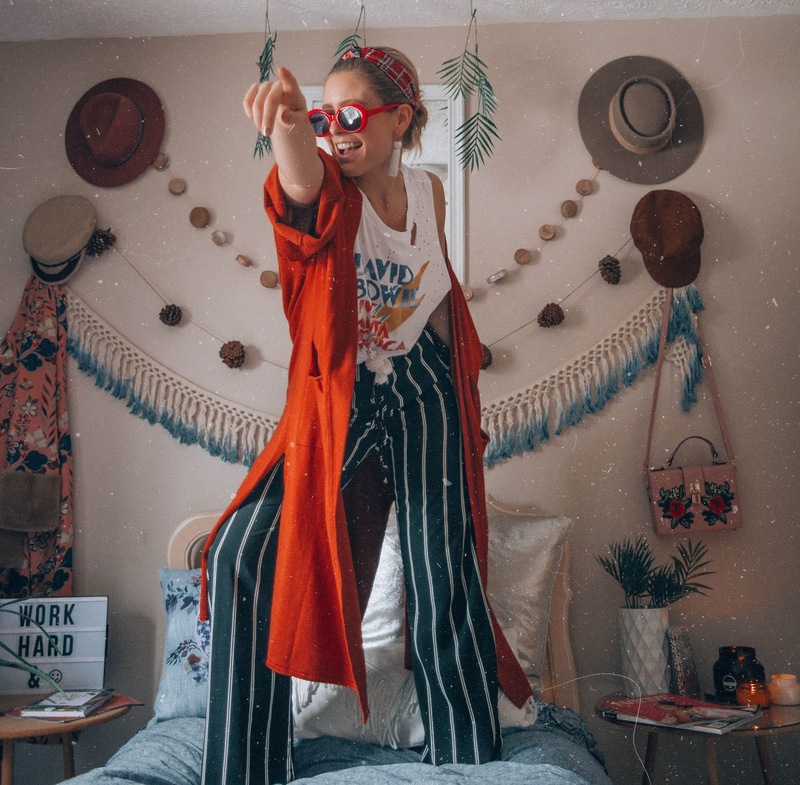 A lot of my creative ideas usually evolve while hanging out in my room, so that's why I love being in a space that is not only inspiring, but comfy and cozy as well! 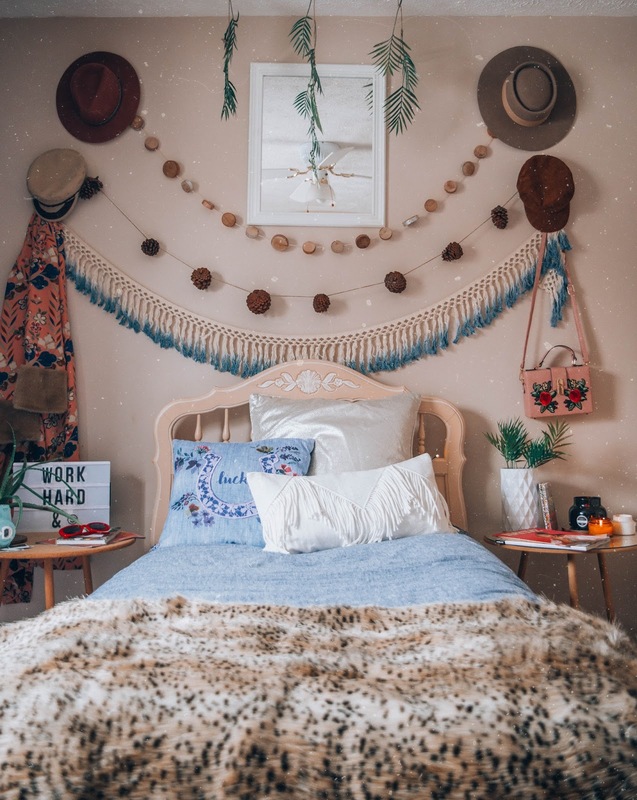 I am all about this cozy oasis - it looks so warm and inviting when I darn well know it's snowy and 6 degrees outside.